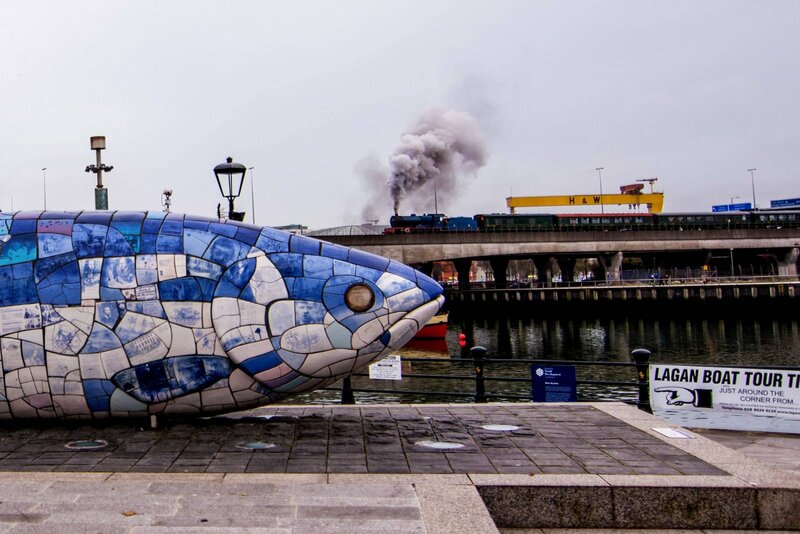 If your idea of a great holiday is exploring, immersing yourself in culture and soaking in as many experiences as possible then Northern Ireland is a brilliant place to start. The country is barely a postage stamp on the map but I promise you it’s full of hidden gems. The fact that it’s small is what makes Northern Ireland the perfect holiday destination for explorers and adventurers. There’s so many different places I’d put on your ‘must see’ list so I’ve tried to condense them down and make my very own whistle-stop tour of the country. Of course I had to leave some wonderful places out but it’s a good place to start. I’m going to assume you’ll start off your trip in Belfast, as it’s the capital city and close to all the airports and ports. There’s really no need for a car as the city is quite compact and public transport links are good. 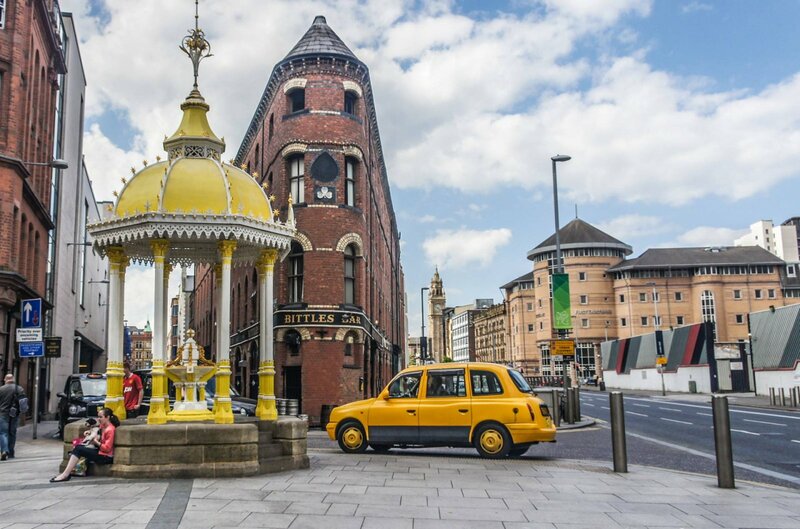 I’d highly reccomend staying close to the Cathedral Quarter as that’s where all the best bars and restaurants are.Our favourite places to eat in the area are Bootleggers and Hadskis but you’ll be spoilt for choice! It’s also not short of quirky streets full of opportunities to take amazing photos for Instagram! Bullit Hotel would be my top choice for Belfast as it’s extremely cool and convenient to everything you’ll want to see. They’re concocted their own brand of luxury by stripping back the old fashioned and often costly extras most hotels have. Make sure you check out their amazing rooftop bar, Babel. If you’d prefer something a bit less hipster The Titanic Hotel is brand new and absolutely breathtaking. If you’re travelling with kids The Mac is in the Cathedral Quarter and always has lots of great events on as well as a family playroom that’s open until 7 most days. 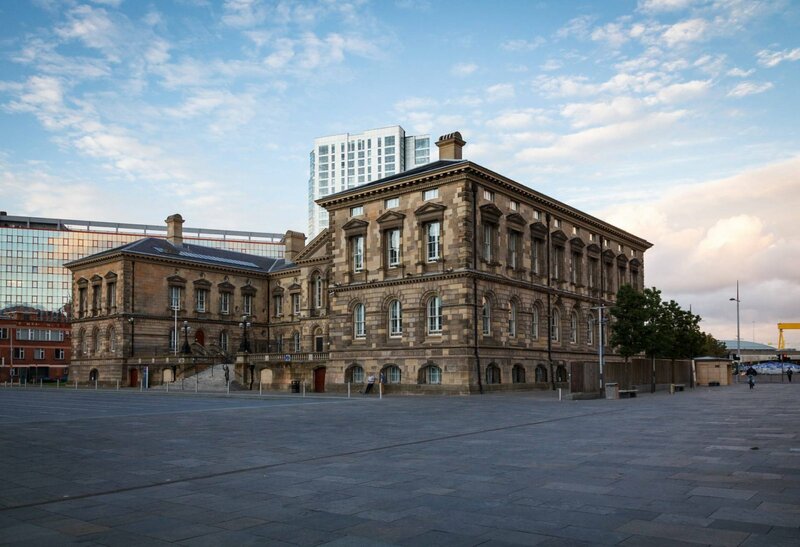 We also love going to the Ulster Museum and Botanic Gardens, a short walk from the city centre. And of course no visit to Belfast is complete without seeing where the Titanic was built and learning more about the epic story behind it. Moving on from Belfast the next obvious destination is the beautiful north coast. You could easily take the train but I think I’d hire a car just so you don’t have to deal with the hassle of Sunday timetables and the like! 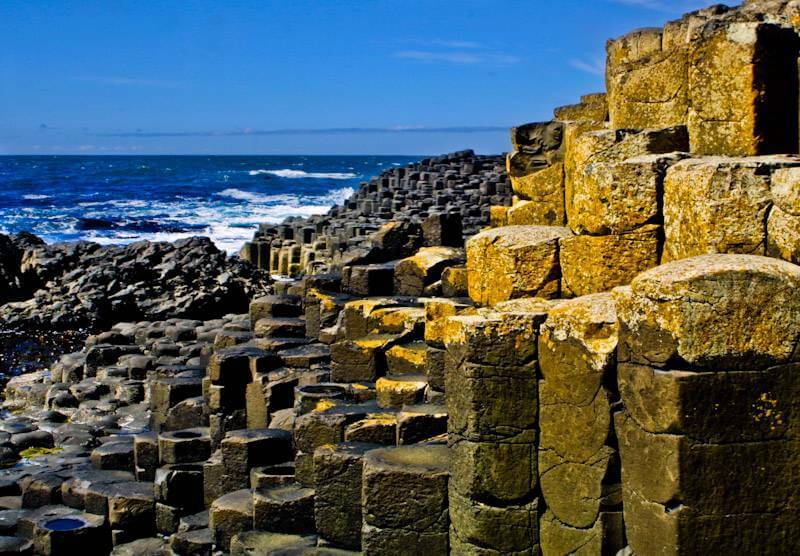 Bushmills is a fabulous base to explore the north coast, you’ve got the distillery locally for anyone who like whisky and it’s not far from the famous Giants Causeway. We had the most beautiful lunch in The Bushmills Inn last summer – I’d love to go back as an overnight guest, it looks fabulous! If you feel like a real touch of luxury or you’re partial to a round of golf you might prefer Roe Park Resort, our friends were married there not so long ago and highly recommended the spa – there’s even a kids pool! 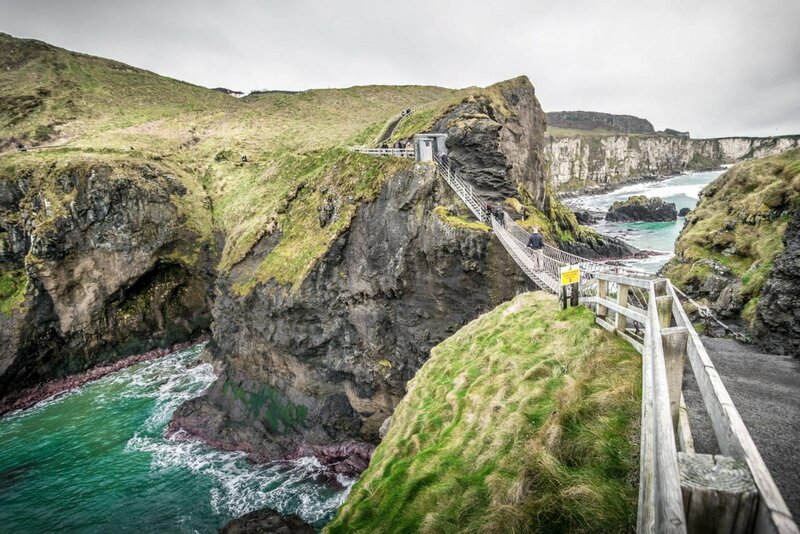 No matter where you stay all the attractions the north coast has to offer are easily accessible by car – except of course the infamous Dark Hedges which you can no longer drive through. Don’t worry though their is parking nearby so you can still have that Game of Thrones experience. After you’ve been to the north coast you should head south west towards Fermanagh. I love this part of the world as there’s so much to see from The Marble Arch Caves to Enniskillen Castle and Belleek Pottery. If you’re tight for time don’t skip the caves, they’re truly amazing! Lough Erne Resort is beyond luxury, whether you stay there or just pop in for afternoon tea you’ll love it. This is a much more isolated part of the country so of course it’s extremely beautiful but I wouldn’t reccomend it without a hire car! Something else a little bit different you can do in Fermanagh is island hopping, it’s not quite Greece but it’s special in it’s own way. Lusty Beg Island is so tranquil and special, it’s a great place to unwind as a family – they even have self catering lodges if you prefer that to a hotel set up. While you’re in Fermanagh I highly reccomend taking a hop over the border. You’re only an hour or so from one of our favourite places, Carrick-on-Shannon. It’s a gorgeous town on the water with tonnes of great restaurants and lovely spots to sit by the river. Matt in particular spent a lot of time there as a child and has so many great memories – there’s something to do for all ages in Carrick-on-Shannon. No matter what your itinerary looks like I can guarantee you’ll love this tiny country. The people are great and the food is fantastic, I could go on all day about the different restaurants we love so do get in touch if you’d like more recommendations.